First employed on Ashworth Farm, Horwich before working in the foundry at Horwich Loco Works. Later worked as a paramedic for 28 years. 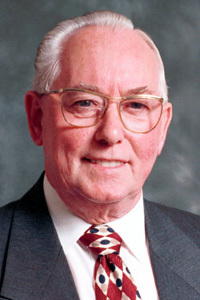 Opened the original Horwich Heritage Centre as Mayor of Horwich on 10 October 1995. Actively involved with the Horwich Tuesday Club, where lunches are provided for the elderly in the town. Vice-chairman of the Horwich Visiting Service, which was one of his charities as Mayor. His wife, Eva, was Mayoress. 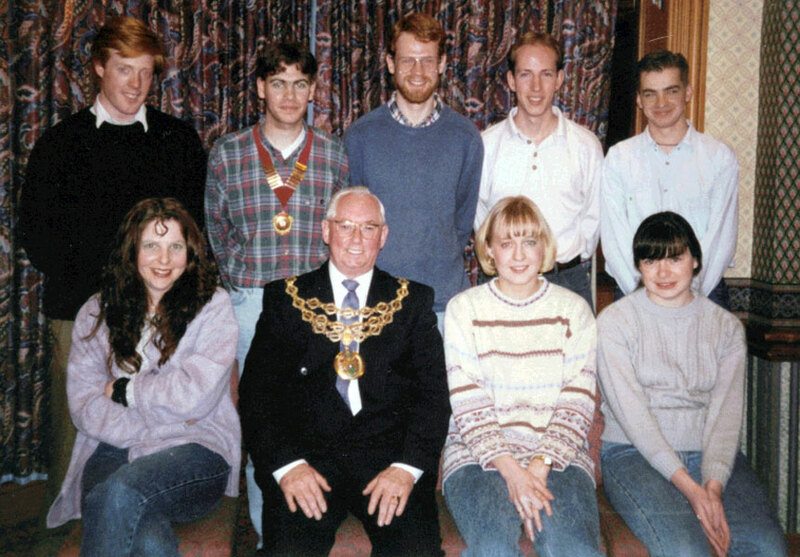 John Bragg as Mayor of Horwich with members of Horwich & Blackrod Rotaract Club on 27 February 1996. The Club President standing behind him (wearing the other Chain of Office) is a young Richard E W Silvester, future Mayor of Horwich 2014-15. 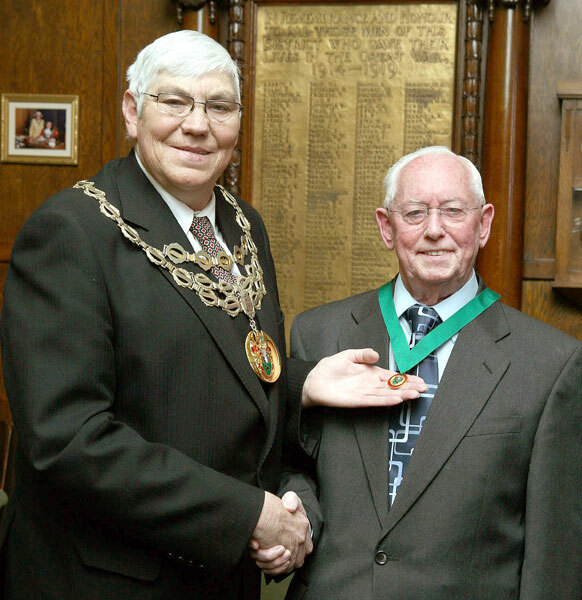 John Bragg being presented with the Horwich Civic Award in 2008 by Thomas Farmer as Mayor of Horwich.